I’ve lost 105 lbs to date and last year I lost 80 lbs in one year living on wartime rations during the 1940s Experiment. Although my life has improved drastically, at 240 lbs ish, although no longer morbidly obese, I am still in a high risk obesity category. By losing another 80 lbs I will no longer be obese and my aim is to return to the 1940s experiment 100% on May 13th 2013, for one more year, to get the job done..
My goal is now to reduce to 160 lbs and when I reach this goal will have lost 185 lbs and over half my body weight. So weigh in day is May 13 and I’d love it if there is anyone else out there who may like to join me, whether it’s for health reasons or economic reasons or just out of plain curiosity. Maybe for a week, maybe for a month…. We are preparing for our move into town in the Hobbit house. 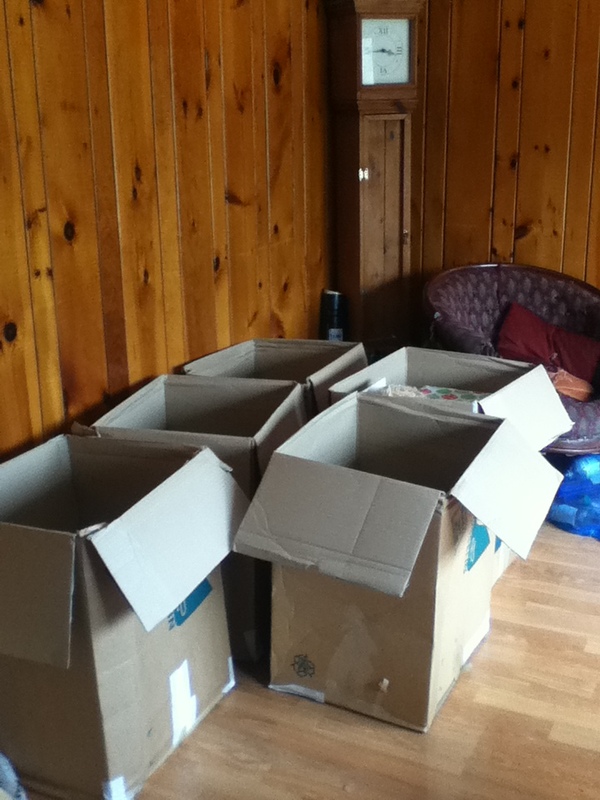 Packing has started and I really don’t know how we will be ready in time for next Tuesday. Thank goodness for our awesome buyer who is being very tolerant. On the “growing old gracefully” front- I’m now 12 weeks without hair dye. Let me tell you it’s a scary place to be but I’m rather glad to be rid of those chemicals. I’m trying to think of my new hair as turning silver rather than turning grey. I will join you if you would like a buddy! I’m just setting up my menus and exercise schedule to start next week, with weigh ins and measuring once a month. Carolyn. I’ve been following your blog for ages and you are totally inspirational! I have loads of wartime cookbooks and my husband & I love to eat this way. I’m about 50lbs overweight and would absolutely love to join you in your next foray into the 1940’s Experiment. I look forward to hearing from you and am sending very best wishes for your impending move. Good Luck! I understand the stresses of packing! But don’t worry – it will all get done. 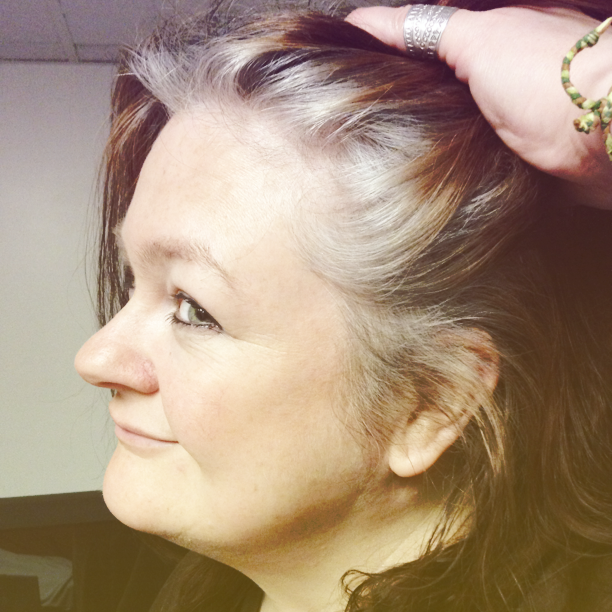 As for the hair – i think it definitely looks a gorgeous silver. And I’d be game to try with you! I have to lose about 80 lbs as well, and once my move is over, that’s what I’m focusing on. Good luck with everything. Just remember to take a deep breath – it’ll all turn out ok! I love what you have accomplished so far and I love your silver hair. I can’t help thinking it would look so cute in a bob or pixie cut! can’t wait to see what you accomplish this year. Ive gradually been changing our diet and loving the challenge of cooking with reduced rations, thanks for inspiring me to give it a try! Weight had been creeping on since I became a full time carer so not much opportunity for exercise and been baking too many cakes so this has given me a real determination to do something about it!..loving the silver look it really suits you. Take care, be thinking of you next week and having moved three times in 18 months my top tip is declutter, declutter,declutter!!! Are you still Vegan? I’m a strict vegetarian in household of carnivores and I need to reduce our food bill so I’ve been following your blog. I’ll join you! I’ve got about 30 pounds to lose but no matter what I try, nothing seems to work. You’ve so inspired me over time, I think this is worth a try! Your hair looks lovely and by going silver, you’ll have a ton more make up options to bring out your eyes, etc…. think of it as reinventing yourself! Good luck and we’re all with you. May, here we come! Hey we should do a countdown and a shopping list on the blog with recommended items to buy and rations that would have been available so we are all prepared and can plan ahead. Excellent idea about the list ! Count me in too (oh, my God, just saying this really scares me already !). I’ll definitely join you. I’ve been following your blog for awhil. I’ve always wanted to try rationing. It would be great to lose some weight and save money. I love the idea of a shopping list! I’m also vegan so anything to help me get ready would be great! Yep! I’m in, I need to lose about 70Ibs and my financial circumstances are about to implode with my impending divorce. With a 21 yr old student daughter occasionally at home, a strapping 18 yr old son and a 10 yr old daughter living with me it’s going to be vital to sort out the pennies! I have only ever cooked from scratch so that’s ok but very guilty of buying expensive ingredients and always making too much-not that it’s wasted, there’s a reason I’m fat!! You have done so well already. Your hair looks gorgeous. I need to lose 60lbs so I will join in your quest to lose the weight. Oh, you’ll look great with silver hair. You still have a very young-looking face and good skin. Just make sure you either get a modern stylish cut, or wear your hair up like in that nice photo at the top there. By the way, I love your outfit from 18 months ago. You look great there too! Hi Carolyn I’ve been following your amazing progress for sometime, and cooking the recipes. Like you I have a love and fascination of the 1940s. My mummy always said that the WW2 diet was the healthiest the UK had ever been and it’s true. Due to recent major surgery, I won’t be able to join quest until the beginning of June because I can’t even lift an empty saucepan at the moment, but as soon as I’m given the go ahead I will be back in my beloved kitchen! I found this site last night and it has made me think even more about today’s style of life. Like yourself I need too lose about 100lbs I have tried it all but nothing has worked, but I also noticed that every time I eat these 100 cal food my IBS plays havoc on my system and I give up. So a few months ago I started doing alot of research about foods and the side effects and I have stop drinking pop for about two months now and my stomach has been feeling great. What I would like to know is how do I get started on this new lifestyle and what information can you suggest. I’m totally down to get on the rations. Super fun and exciting! Carolyn I’m up for it!!! I need to loose 36lbs, but I know that the last 9 or 10 lbs will be the hardest. Are you going to get us to post our pics, start to finish? with weigh in’s etc…? I really think that this could actually be a fun event with of course, some amazing outcomes! perhaps pic posts of meals we can come up with as long as they are based on genuine WW2 rations. Sounds like something I need to do too. Both for the nutrition aspect (I have been working on losing this last 25lbs forever..) but also for the cost factor! Hi, have been reading your blog for a while now and would love to get involved from the 13th. 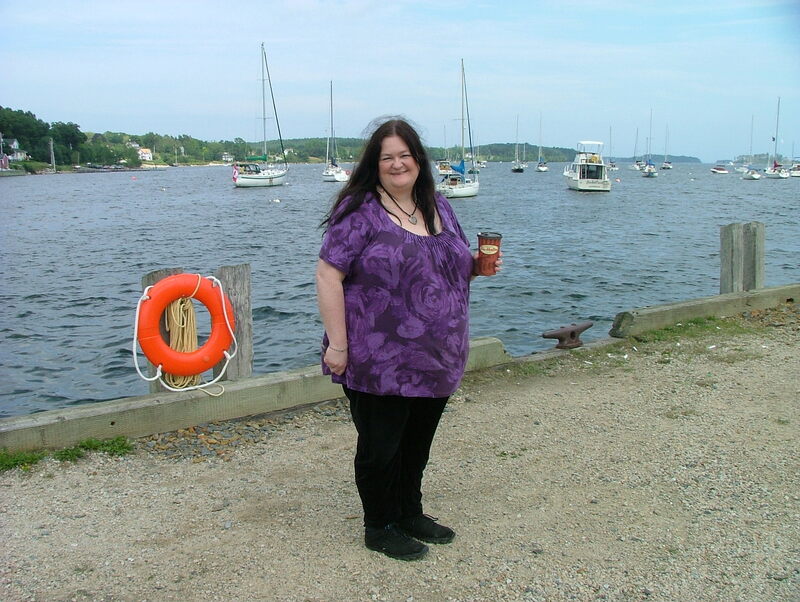 The 15th marks exactly 10 years since I first signed up with weight watchers online – and I’m now 23 lbs heavier than I was then! I’m not totally vegetarian, but love lots of veggie food and definitely need to get out of a food rut. I reckon I have almost 100 lbs to lose too. Count me in Carolyn. I’m still following the diet but am ‘stuck’. I keep losing and gaining the same four pounds!